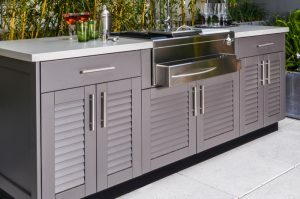 Never design your custom outdoor kitchen without knowing all your options. From a basic cook and prep setup, to a complete outdoor kitchen and entertainment area, you can count on a free on-site design consultation from Outdoor Living Concepts. A complimentary three dimensional CAD drawing allows for a visual picture of your outdoor kitchen before making any buying decisions. You will also find the CAD drawing helpful when submitting plans to your HOA. 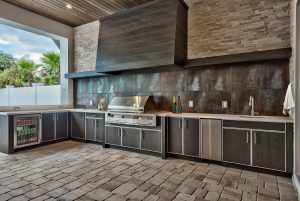 Custom outdoor kitchens in the Desert demand the most durable materials to withstand our harsh Summer weather. 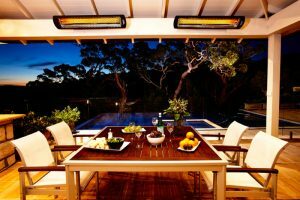 Outdoor Living Concepts offers the most reliable products, from Sunbrella fabrics for patio furniture and stainless steel cabinets, to the highest rated brands of BBQ grills and hot tubs for your backyard paradise. Select from a variety of materials and perhaps one of our custom “Palapas” shade structures for your own tropical resort backyard! 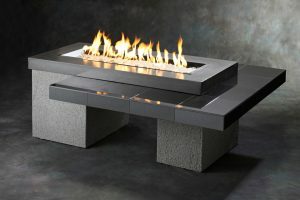 In addition to custom outdoor kitchens, Outdoor Living Concepts offers barbecue grills, prefabricated BBQ Islands, outdoor patio furniture, fire pits & fireplaces, Jacuzzi hot tubs, umbrellas and more.